Forget those stale transformers action figures, now you can have the real thing. 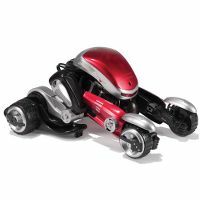 Hammacher Schlemmer has added the The Transforming Remote Controlled Robot Car to their inventory. This remote controlled robot car can transform from a car, into a truck, and finally into a robot that rolls on only two wheels instead of four. With an expected ship date of 10/10/2008, the robot should be hitting US shores any day now. 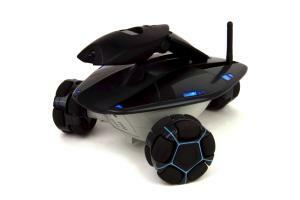 The robot car will run for up to 30 minutes on a full charge of its rechargeable battery. Recharging the battery takes approximately four hours. 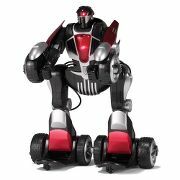 It has a range of 100 feet from the remote control which requires a single 9 volt battery. If Optimus Prime had a little brother, this would be him. Click here to learn more about this amazing transforming robot car.